I’ve returned from my vacation in too-hot-for-this-babe California and I think the crisp Anchorage air has me thinking more clearly. I’ve enjoyed writing these abbreviated weekly dinner menu posts where I just link a few delectable recipes. So, when my week is filled with only 3 or 4 home-cooked dinners, I’ll post the links to the few recipes I am making. When a week is brimming with at-home munching, I’ll post the full week’s dinners menu. Please feel free to leave a comment telling me what you think about doing some of these shorter weekly dinner menu posts. And for dessert, I’m throwing together some pastry using pre-made pastry sheets, almond spread, & fresh berries. I was massively inspired by the image below from Korena in the Kitchen’s post, Sourdough Danish Pastries, Part II, (but I’m all too lazy a babe to scratch make these treats). Like I said in my last post, I’m on vacation in California! For this reason, I don’t have a dinner menu for this week. What I do have are some Rosh Hashanah recipes for the Jewish Babes out there. I’m flying down to California this week to spend some time with my family and catch up with friends. 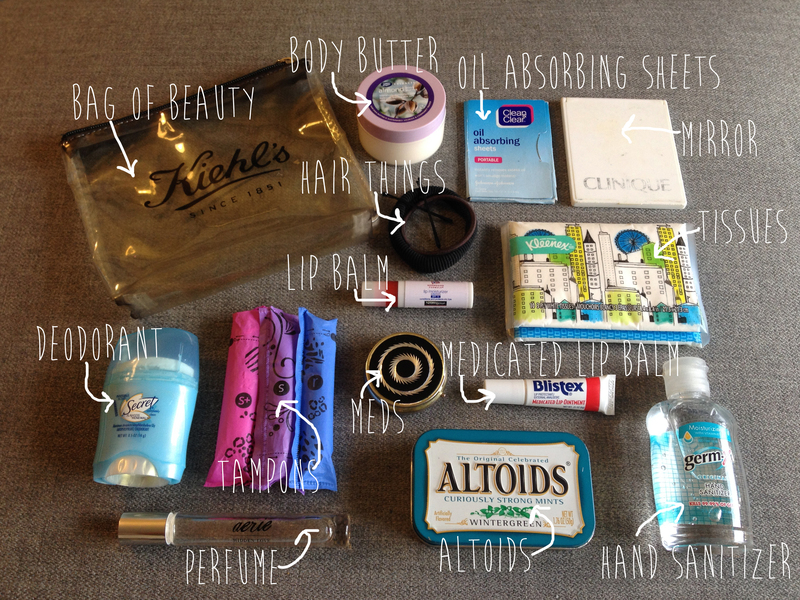 As I organize my packing list, I thought I’d share what’s in my carry-on. While on a family vacation years ago, one of my sisters (a little babe at the time) had her Gameboy, charger, & games stored in a small bag which she dubbed her “Bag of Technology”. This was ultra adorable because she was like 6 years old, but she created a seriously brilliant packing solution. I always carry in my purse a black pen, mechanical pencil, & double-ended black Sharpie (one end is your standard Sharpie tip & the other holds a fine point), so this crew comes along in the carry-on. I like to carry-on oil absorbing sheets for my face, a rollerball of perfume, and a travel sized deodorant so I can freshen up when I land. I don’t need my family’s first sight of me to be accompanied by any excess shine or stank. The Altoids come into play there too. I also carry two different lip balms. I like to use the medicated one on flights to combat the terribly drying plane air and I’m sure my lips are grateful. The other lip balm has a spf & is my everyday choice. You may have noticed I haven’t included any makeup. I no longer wear makeup when I travel. I find it easier to look fresh when landing if all I have to do is splash some water on my face versus trying to apply a full face of make up with a tiny hand mirror. It also saves space in my carry-on; meaning more room for impulse-buy magazines & chocolate! 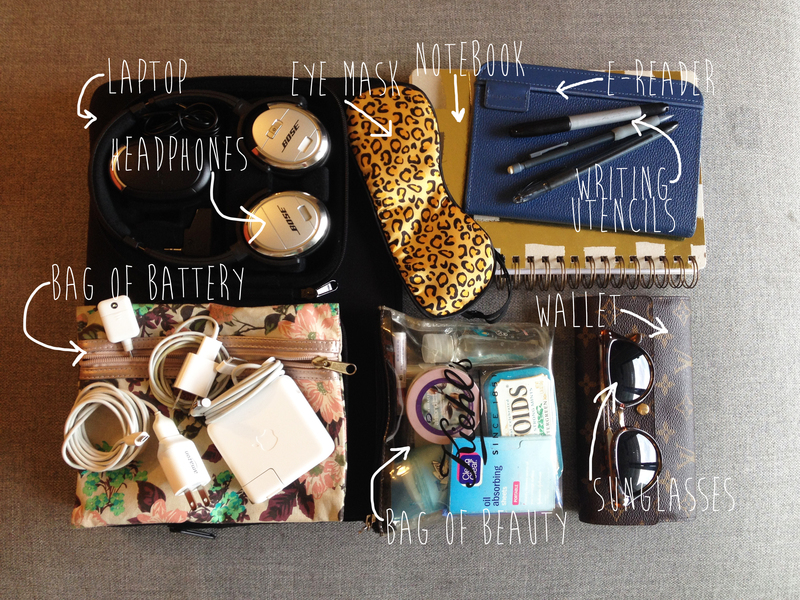 What’s on your critical carry-on packing list? I’m sorry to report I have no menu for you this week. I haven’t prepared a proper week’s dinner menu because I’ll be heading to California Wednesday to work on my tan visit family & friends. I’ll be on vacation until the 28th, so posts may be sporadic these next weeks. In lieu of a menu, I’ve rounded up a few recipe links to keep you satisfied. 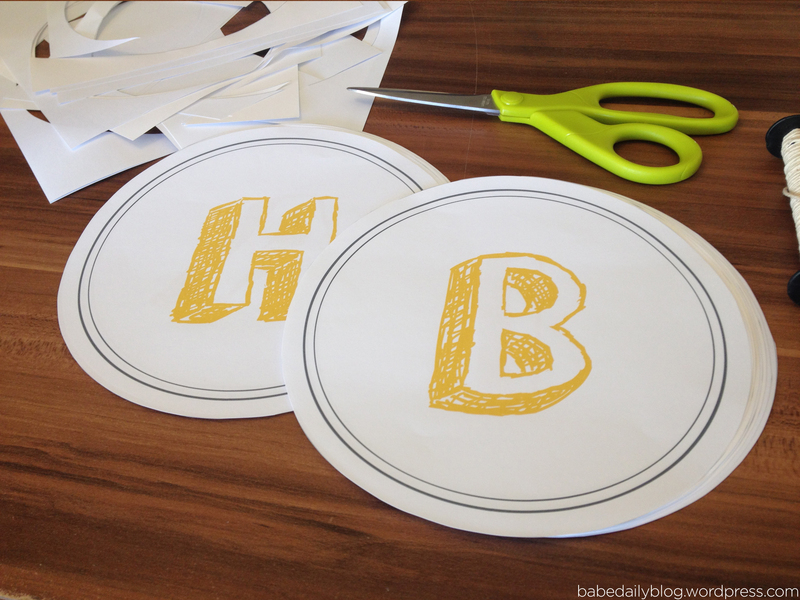 To continue with the birthday theme, I have for you a birthday decor DIY. 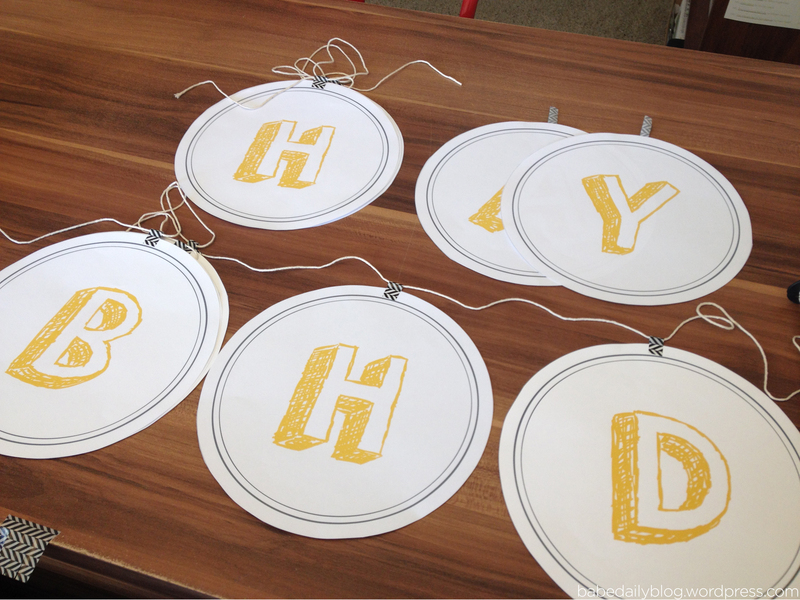 I like to make birthday banners vs. purchase ready-made ones in store, so I’ve made this Circle Flag one for my boo’s birthday this weekend. 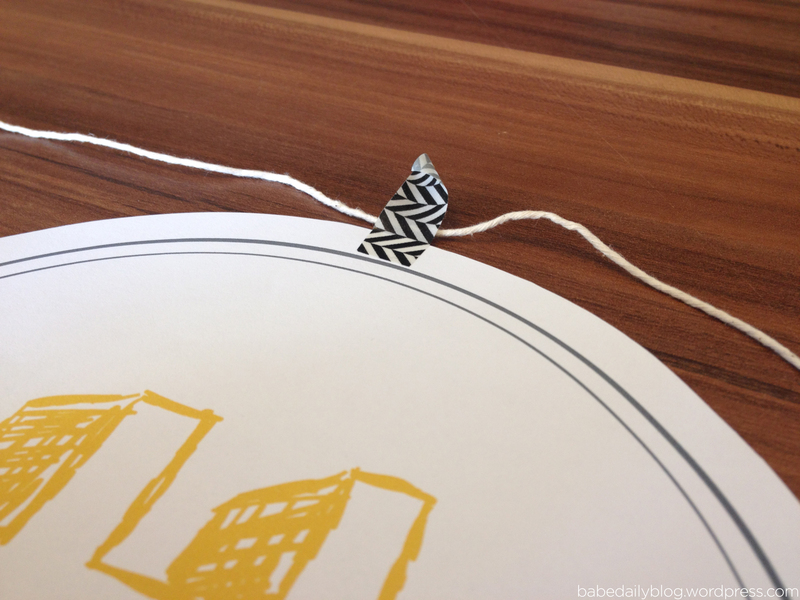 This is a simple paper flag banner that you attach to string with tape. And as if that’s not simple enough, I’ve made the circle flags for you! Just click on the pdf below, see the print instructions to print out the flags, & follow along with me! You can print these flags onto card stock if you’d like them to be a little more firm, but I printed mine on copy paper. 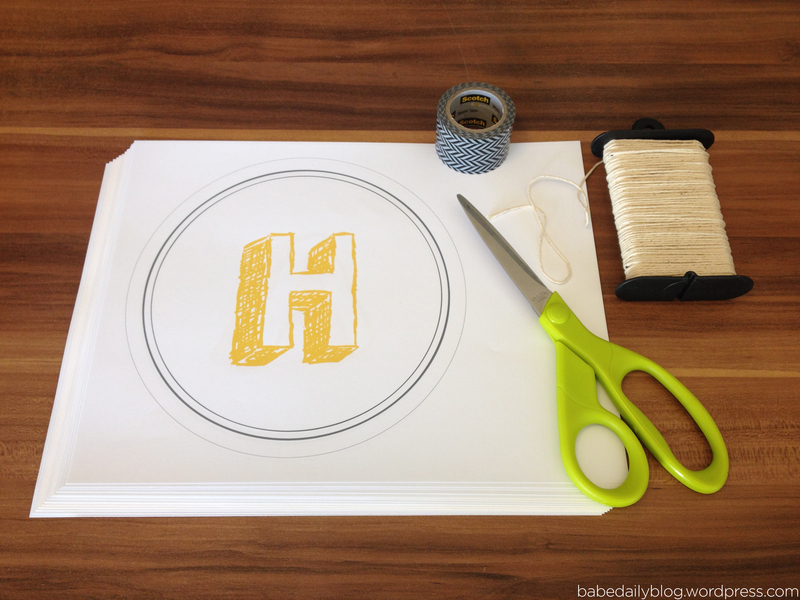 Then I assembled my supplies: Printed Circle Flag Pages, Scissors, String, Black & White Washi Tape. Next, I cut out my circle flags from the printed pages. For the string, measure out the length you need to accommodate all your circle flags. I prefer to have the “happy” & “birthday” on two separate strings for a more dynamic banner, but if you’d like them all on one string, measure for that. Now to adhere the flags onto the string. Cut a length of tape & place in along the top of the flag, overlapping the edge at about halfway up the width of the tape. Flip over your flag & place the string along the tape. Fold over the unstuck half of the tape onto the back of the flag, securing the string inside. Continue taping your flags until they’re all adhered to the string. Voila! 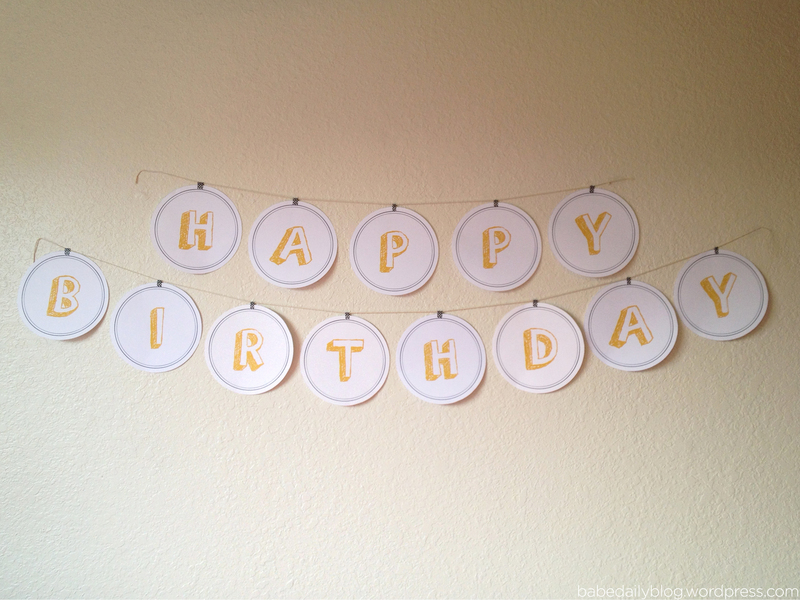 You’ve made a birthday banner. Now hang that thing up because it’s time to cut the cake and open presents! 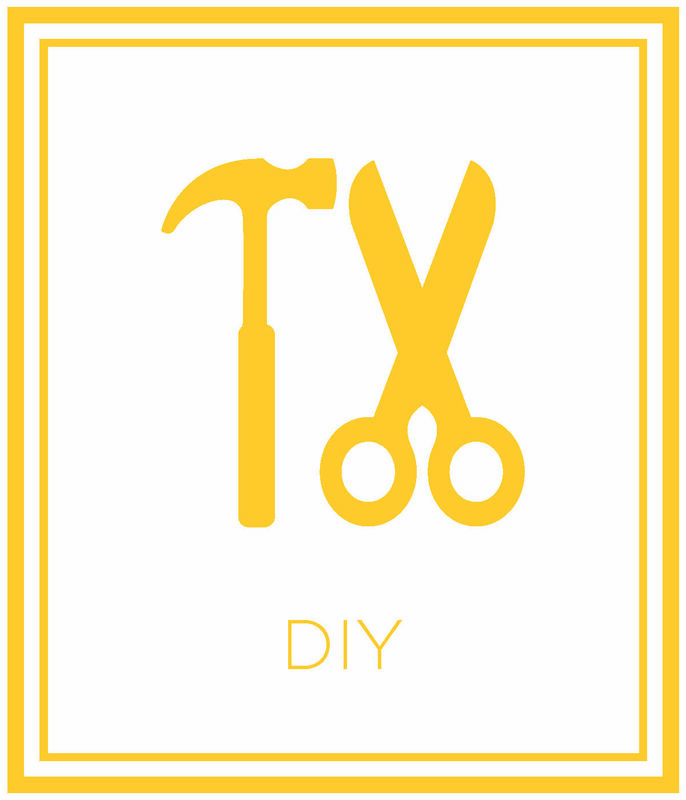 What birthday DIYs do you like to do?